Stay the course. Go the distance. Slow and steady wins the race. These are all common quotes that we hear and use every day when talking about consistency. And why not? 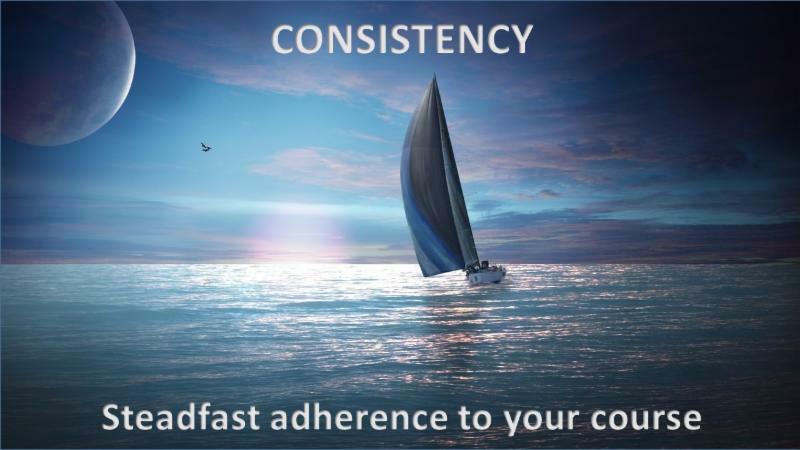 Consistency is an essential part of Building Your Outstanding Brand. Having a consistently great brand means that no matter when you go (or even where you go if it's a chain), you can always expect the same thing. Direction. Being consistent means having a clear direction and focus. If you're a science center, you might be focused on inspiring young people to embrace science and to dream big. If you're a zoo, you might be focused on conservation, sustainment, and the environment. There's no right or wrong with the focus your organization chooses so long as you stay the course. Execution plays an important role in consistency. How we plan and execute our organizational focus can make or break our efforts. Successful brands have the policies, procedures, checklists, and best practices in place and ready each time a new opportunity arises. As an example, I am continually amazed at the way in which the Walt Disney Company has transformed Downtown Disney into Disney Springs. While remaining open 365 days a year, the entertainment and shopping complex has doubled in size, opened 2 new parking garages, and accommodated nearly triple the attendance in the last few months. Disney Cast Members execute with effortless precision. Guests get where they need to go, cars get parked, and the cash register continues to sing...because Disney knows how to execute. Change. Being consistent doesn't just happen though. It takes goal-setting, planning, execution, and yes, even change. Businesses that have the ability to change, adapt, and think differently have the competitive edge in building their brand. Take Starbucks Coffee for example. No matter where you go or what time of day you order, the same drink always tastes the same. That is consistency in action. ...and with the coffee reference, I'm off to pour myself another cup. Have a great Tuesday! ⟵B-Y-O-B: Build Your Original Brand – Part Four: Wow!